As a member of Englander Fischer’s business litigation team, Joseph Etter represents businesses and individuals in complex commercial litigation actions. 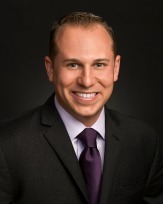 Joe primarily focuses on complex commercial litigation disputes, construction transactions and litigation, real estate and contractual disputes. In addition to prevailing in major cases through dispositive motions, Joseph Etter has tried non-jury and jury trials and received successful verdicts as well as favorable arbitral awards. He prides himself in his work ethic and is a skilled problem-solver that searches for creative solutions at cost-effective measures all while keeping the business or individual’s goal objectives in mind. In his spare time, Joe enjoys spending time with his daughter, Olivia, traveling abroad with his wife, Lauren, playing golf, attending sporting events, and devoting his time to charitable organizations, including I Matter Too Corporation, where he sits on the Board of Directors and is Secretary for the non-profit corporation.